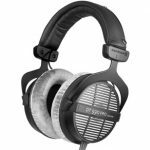 Looking for top quality studio monitors but not sure which are the best to buy? Well you’re in luck, as today we show you seven monitors that will suit any setup type. Professional studios will spend (easily) over $10,000 on a pair of monitors, and usually have at least two pairs. You don’t need to do this. In this guide, I’ll go through the best studio monitors you can buy for $500/pair or under. There will be options for big rooms, small rooms, and options for every genre – from electronic, to metal, to folk. When you’re perusing pictures of home studios, it’s not uncommon to spy a pair of yellow domes sitting above the desk. These are the ever-popular Rokit G3s. These monitors come in at around $300 for a pair. The modest price is great value for the quality you’re getting. They come in a variety of sizes, which have implications for their sonic ability, but for the average home studio, I would recommend the KRK Rokit 5’s. These were my first pair of monitors, and I made a ton of music on them. They have a fairly balanced spectral response, can get quite loud, and they are small and easy to move around. They have a slot on the bottom of the monitor, which is supposed to improve bass response. In a 5-inch speaker, you simply don’t get an accurate bass response. While this design feature seems to improve it, I have doubts about the accuracy. Either way, in small home studios, bass response is never as accurate as it could be. These monitors will work for any genre. I know people who make rock, electronic, and rap on them, and they will be fine. 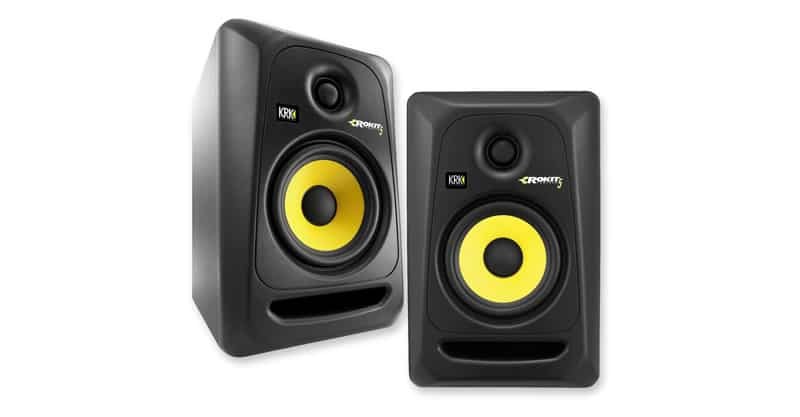 These monitors are without a doubt one of the most widely used and widely reviewed studio monitors around, and they are a good buy for anyone. 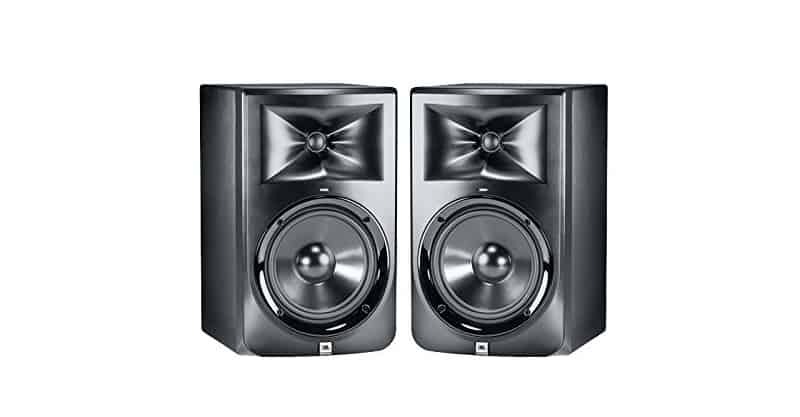 Yamaha HS5 Bi-Amped Powered Studio Monitors come in at about $400 and are well worth the money. Based on the iconic Yamaha NS10s, Yamaha HS5s try to take a modern approach to what made NS10s so awesome. NS10s were a series of very affordable studio monitors that hit the scene in the 70s. Literally hundreds of hit songs have been mixed in part on NS10s, and they are a staple in most professional studios. NS10s were designed to bring out all of the ugly parts of the mix – if it sounded good on an NS10, it sounded good anywhere. HS5s try to mimic this, but are different in a few key ways. NS10s required a separate power amplifier. This is a pain for most home studio owners. Yamaha HS5s are powered and don’t need an amp. They also bring modern engineering and thus a crisper, slightly more hyped sound. It’s actually fun to listen to music on HS5s, whereas it’s not fun to listen to music on NS10s. That’s not to say that you necessarily want it to be fun. Studio monitors are made to show you imperfections. Yamaha HS5s absolutely maintain this ability, while giving you some of the satisfaction that modern speakers give. Like the Rokits, their 5-inch woofer only gives them a low-end response that goes to 54hz. You’ll miss out on some of the low-end, but if you want to make up the low-end you can always buy a subwoofer. They are designed to work in any room on any type of music. In particular, the Yamahas sound great with “band” music, with real drums, vocals, guitar, etc. Don’t let that limit you – these monitors are extremely versatile and well-respected. The JBL LSR308 speakers offer something a little different compared to the other monitors I’ve mentioned so far. The main difference being the size of the woofer. An 8-inch woofer allows the JBLs to give accurate bass response all the way down to 37 hz, which is near the low end of what you’ll be working with. 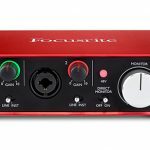 This makes the JBLs far more powerful speakers if you’re working with music that has a lot of focus on bass. That said, it also makes them a less likely candidate if you’re working in a small, square room (which describes many home studios). Having that kind of frequency response can lead to bass buildup and ultimately hurt your mix more than help it. 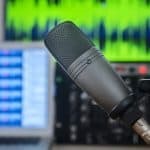 Some monitors have options to cut their bass response to 45 hz for small rooms, and although it won’t sound as good, this is usually the right call. Basically, if you’re working with a well-designed, large room, these are great monitors. They cost around $500, which is fantastic value. You can make great music on almost any monitor, but the JBLs will serve you extremely well for a long time. The Presonus Eris series is in a similar category to the JBL LSR308s. 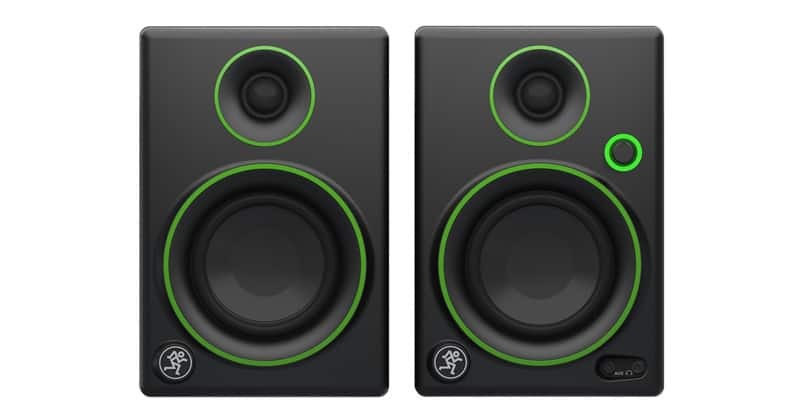 They are great monitors for a professional home studio on a budget. What I love about this line is that they come in different sizes, all the way from an 8” woofer, to a 4.5” woofer. This means you can choose a model that not only fits your price range, but also fits your room. The 8” model tops out at $500, so all of the other models will fall under that. They have a similar design feature to the KRKs; a front-facing acoustic port for better bass response. The difference is that the Presonus speakers have the ability to be tuned to your room to a greater degree. They have built-in EQ and Acoustic Space settings to better suit a smaller or uniquely shaped room. These are also some of the heavier monitors on this list. Although heavier doesn’t always mean better, they do feel really solid and well-built. Together, they weigh about 53 lbs. A normal desk should be able to hold these, but it’s something to be aware of. These will serve you well for literally any type of music. 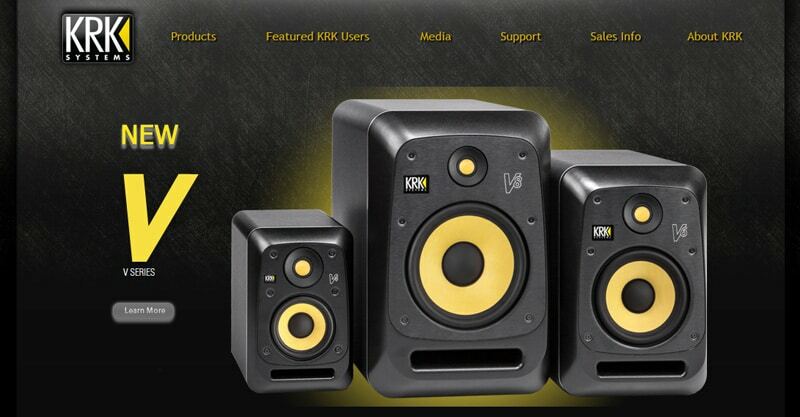 They have a bass response that goes right down to 37 hz (depending on model) and are honest, studio monitors. A great option for anybody. To completely switch gears, I bring you the cheapest pair of monitors on this list. The Mackie CR3 monitors are only $100, so they are good bang for buck. These monitors are basically listening speakers that have been tuned slightly differently in order to make them more usable for studio work. These monitors have a frequency response of 80 hz – 20k hz, which is fine for a lot of amateur home studio work. They give a fairly colored listen, and tend to hype the top and low end in order to make up for their limited frequency response. That said, you should not shy away from them. If $100 is what you can afford, go for it. You’ll still be able to create an accurate stereo image and balance a mix. They also have the on/off button on the front of the monitor, which is really nice. It annoys me that many monitors have them on the back, so you have to reach around constantly. A cheap set of monitors is not bad to have if you’re just practicing guitar/bass and doing some basic music making. They’re also not bad to have as a second pair of reference monitors or as a pair of monitors you can travel with and not stress about. Mackie CR3s aren’t going to win you an award for Mixing Engineer of the Year, but that doesn’t mean they’ll inhibit your music making. I often think it’s better to start on cheap gear and move up slowly, and for $100, you can’t go wrong. We’re going to get into two oddball picks at the end here. The M-Audio M3-8 is a great monitor. It’s the only three-way monitor on this list, which makes it slightly more expensive, coming in between $600 – 700 for a pair. Three-way monitors offer some distinct advantages. Most monitors are two-way, meaning they have two amps; one for the top end and one for the bottom. This is fine, but it means they have to work together to make up the mid-range. This isn’t always ideal. Three-way monitors use three amps to provide specialized sound in specific frequency ranges. The result is a more accurate stereo field, and more accurate representation of mid-range frequencies (which tend to be the most troublesome). 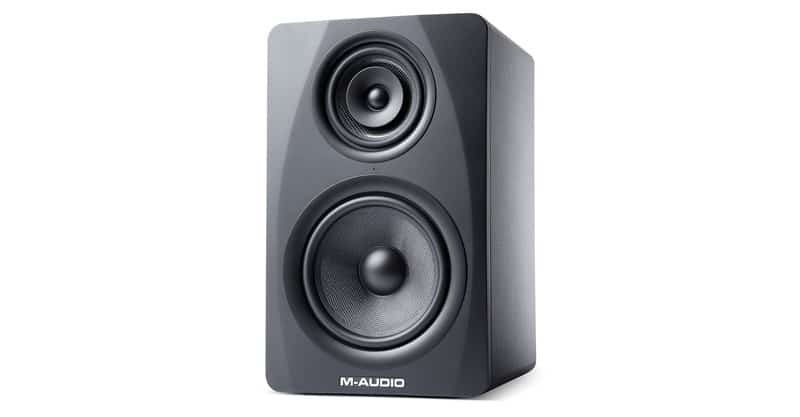 The M-Audio M3-8 are the cheapest three-way monitors I could find, and they tend to have very positive reviews. 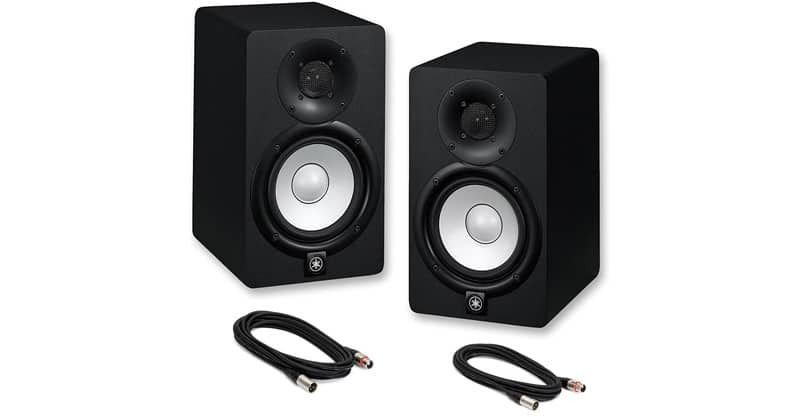 Other than this pair, it’s pretty hard to find a good three-way studio monitor for less than $1,200/pair. If you have the cash and want a hi-fi experience, these are a great pick for you. The Avantone MixCube is another oddball on this list. The monitors cost just under $500 and are not meant to be your primary monitor. Thus, this is not a suggestion for someone’s first pair of monitors. These monitors are meant to be a second pair of monitors, to go along with your primary pair. Basically, in the 70s, these little 5C Sound Cube monitors became an absolute staple in almost every major studio. They were little monitors that sounded “bad” but accurately reflected what you mix would sound like on most people’s terrible speakers. People would mix albums on their expensive studio monitors, but they would be switching back and forth to these little Sound Cubes, because they wanted to make sure that people listening at home were hearing what they were hearing. You don’t always need two of these monitors either; people sometimes mix in mono on just one speaker, but a lot of home speakers are mono speakers with a terrible frequency response. 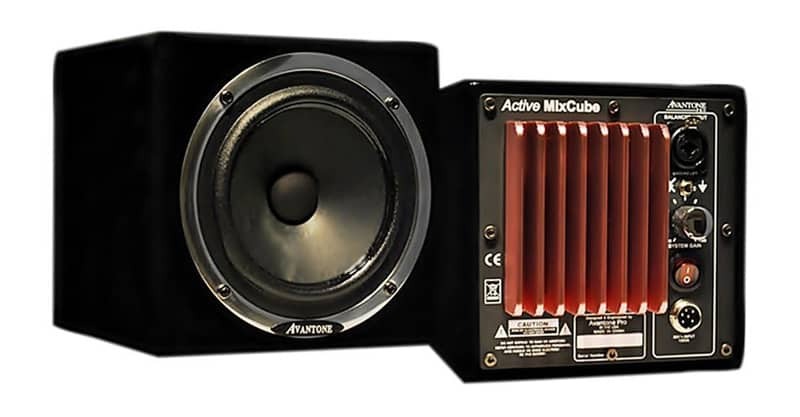 The Avantone MixCube is a good buy if you’re serious about mixing. Otherwise, don’t buy it. If you’re trying to mix albums for money, it is a fantastic reference speaker, and will probably serve you better than any boutique plug-in. Save the MixCube, any one of the monitors mentioned here will serve you extremely well for years. My advice: Once you buy a set of monitors, don’t look for another set. Commit to learning how to use the ones you have. Eventually, you may find the monitor have shortcomings, and eventually you may buy a more expensive pair. But honestly, $500 in studio monitors is plenty. Just pick a pair that fits your budget and your space. You’ll be fine! You can make great music with very little gear. That’s what home studios are all about – experimenting and making the most of the gear you already own. 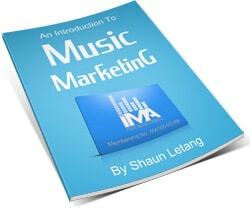 This process is what makes you better at making music. Figuring out how to get a half-decent drum sound with just a couple mics, learning how to EQ a vocal you’ve recorded on an SM57, learning to mix a song with just stock plugins – that’s how you get better. When you eventually do upgrade a piece of gear, you’ll actually notice the difference. When you’ve already figured out how to get drum sounds you like, buying a nice pair of overheads will rock your world. Learning to mix songs on crappy headphones means your mixes will be 10 times better when you invest in good studio monitors. 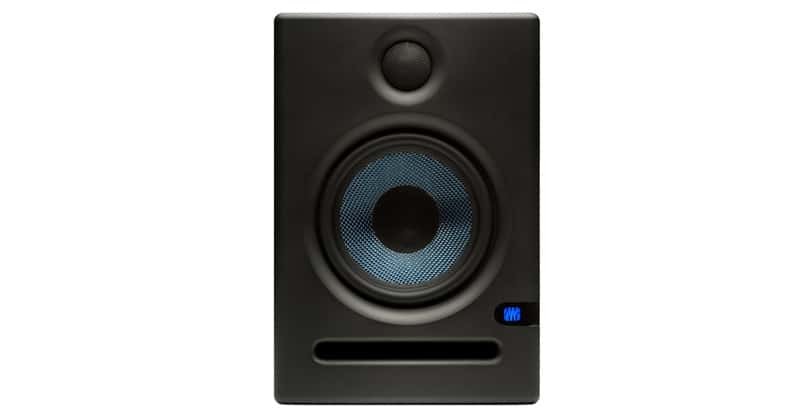 All that being said, there are a few pieces of gear that are almost essential for a home studio, and in my opinion, studio monitors are one of them. If you’re trying to mix songs or even just understand what the tones you are capturing really sound like, studio monitors are very important. Anyone who has mixed a song on headphones, thought they did an awesome job, and then went out and listened to their mix in the car will attest to this – mixing on headphones, even if they’re the best studio headphones, is not the best way to mix. It can be a part of your process, but something about having the music that close to your eardrums fools your ears. In my experience, even trying to discern which parts of the vocal are in tune or out of tune is challenging if you’re on headphones. So, for this reason I think it’s important that you invest in a decent pair of monitors.